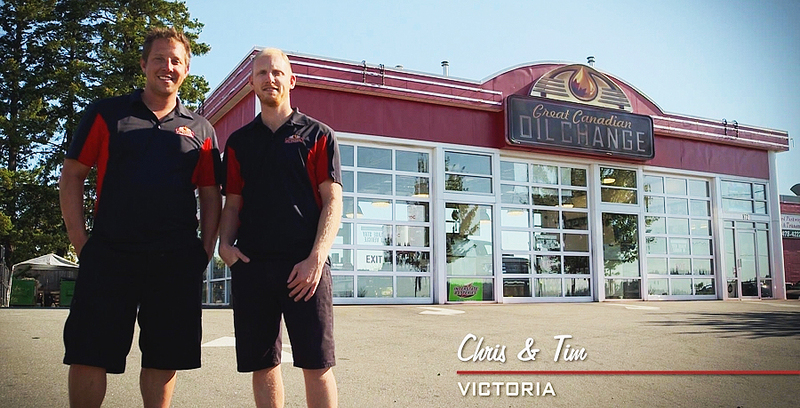 Your local, trusted oil change and vehicle maintenance provider in Victoria, BC. Locally owned and operated by Tim and Chris, the Great Canadian Oil Change located at 872 Langford Parkway opened March 1, 2008. This new state of the art facility replaced the previous Town and Country Mall location (now demolished to allow Mall redevelopment) which served the Victoria area for over 10 years. Our Great Canadian Oil Change Duncan Location is at 2752 Beverley Street and is a convenient Drive Through facility which will allow you to be in and out in 10 minutes. No Appointment Necessary. We offer Convenience with no appointment necessary. Our Service is of the highest standard. Our Products are New Vehicle Warranty Approved. We service all makes and models so come in at your convenience and you will be on your way in approximately 10 minutes. At Great Canadian Oil Change in Duncan and Victoria we have made a commitment to our environment. All used oil, oil filters and anti-freeze is recycled by licensed and bonded recycling companies.